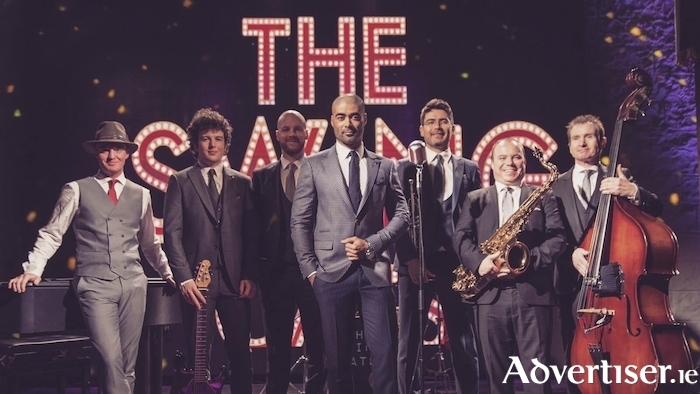 Featuring swing classics from the 1920’s to the modern day, the band looks forward to returning to Westport to play hits from Louis Armstrong, Fred Astaire, Bobby Darrin, The Rat Pack, Michael Buble, Paolo Nutini and more. After sell-out shows at The National Concert Hall, The Olympia Theatre, a recent headline slot at The Cork Jazz Festival and a certified No.1 album in the charts, The Swing Cats smash hit show will include classics such as “King of the Swingers”, “Puttin on the Ritz”, “When The Saints Go Marching In”, “Mack the knife”, “I Can’t Take My Eyes Off You”, “Mr Bojangles”, “New York, New York” and more, along with original hit songs from The Swing Cats No.1 album “Dance With Me” performed live. From its birth in the 1920’s to the big band era of the 30’s and 40’s; from the golden age of the 50’s and 60’s with household names like Sinatra, Bobby Darrin, Andy Williams to the modern era of Buble and Nutini, never before has a show captured the full evolution of swing music like this. Led by award-winning vocalist Luke Thomas, The Swing Cats have amassed a huge following throughout Ireland and Europe thanks to their distinctive sound and style which is steeped in the golden age of swing music, spanning almost 100 years. Don’t miss this theatrical and energetic show performed by one of the most in-demand bands in the country. An absolute must for all swing music fans.